For one thing they help you to develop your marketing messages. They also help you to concentrate on value. Value is very related to price. You’re always looking for market price; the price your market is willing to pay for your product or service. Originally the Strategyzer was developed for designing new products or services but I find it just as effective in understanding the value of already commercialised products or services. The Canvas is divided into two sides. The customer profile on the right and the value map on the left. Value propositions have to be developed with specific products or services in mind, aimed at a specific person within one of your customer businesses. So as a business, you are likely to have more than one value proposition. The customer profile explores customer’s jobs, their pains and their wished for gains. You really have to get into your customer’s shoes – always a useful exercise. 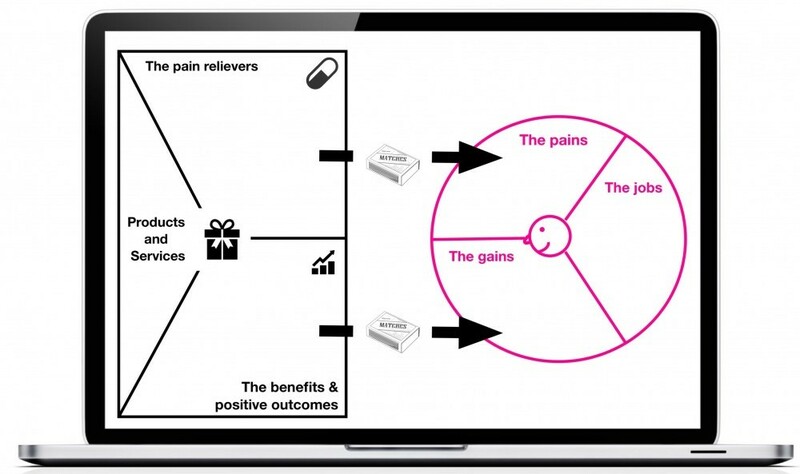 The value map matches those pains and gains with your business’s pain relievers, benefits and positive outcomes.